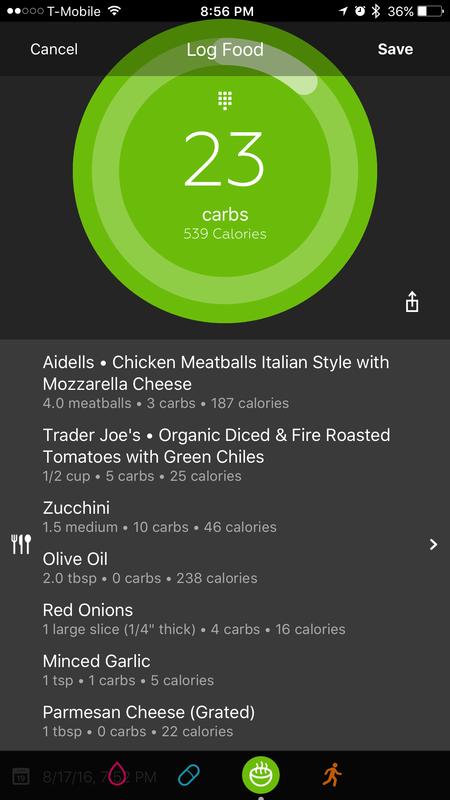 Looking for an easy, low-carb alternative to traditional spaghetti and meatballs? You've come to the right place. Here's a hearty, sauce-y dish that's sure to satisfy. We substituted the spaghetti with zucchini noodles (a.k.a. 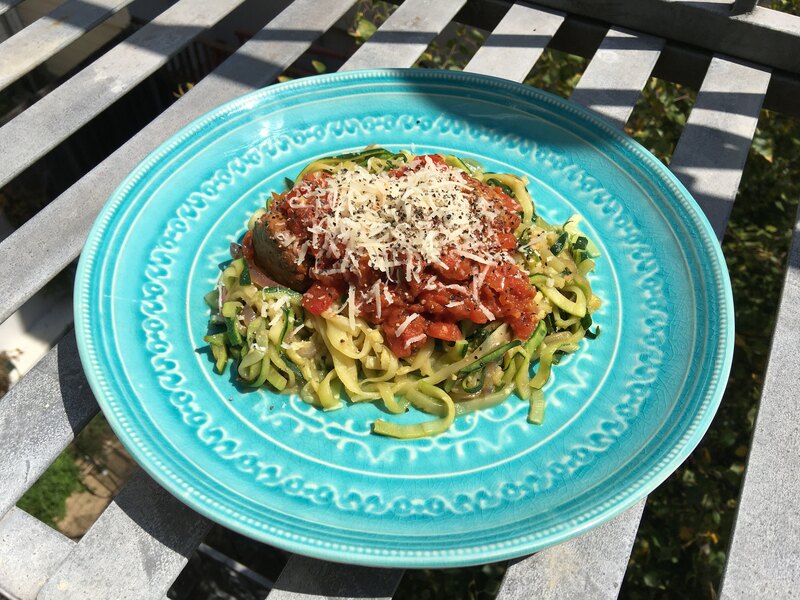 "zoodles"), so this dish is practically carb-free! BONUS: This dish can also be made vegetarian (just use veggie meatballs :-). Serves 4. Ready in 45 minutes. Only 23 carbs per serving. The ones used for this recipe were store-bought chicken meatballs, but feel free to be creative and make your own! 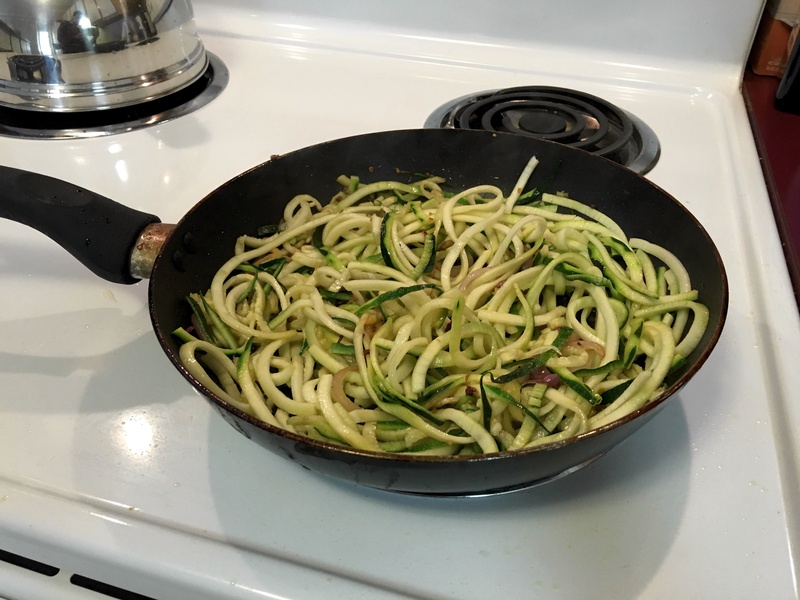 Cut zucchini into thin, noodle-like strips (I used a Veggetti for this, but a sprializer or mandoline also works really well!). Toss the zucchini strips with salt. Add garlic and onion to skillet to sauté. Once the skillet becomes aromatic, add the zucchini. Cook and stir until just tender, about 5 minutes. 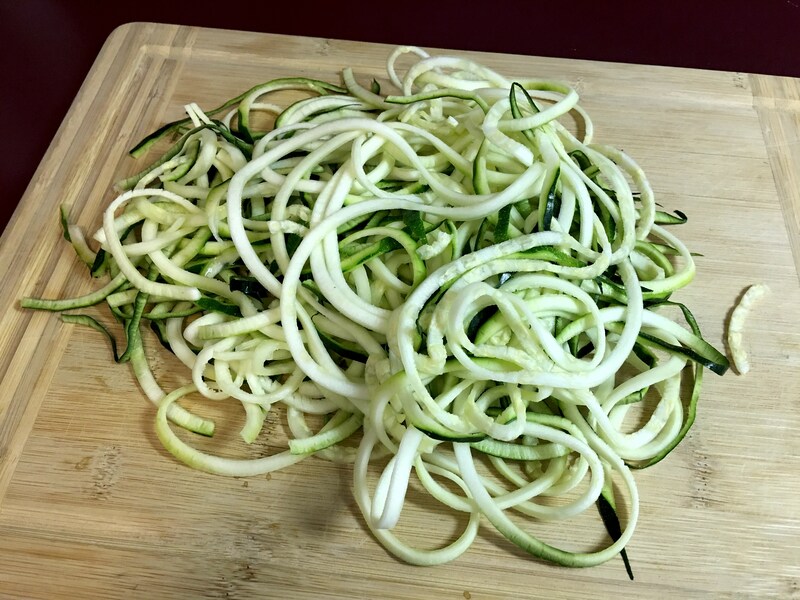 Drain zoodles to remove excess water. I just heated my store-bought meatballs by throwing them in the sauce as it was cooking. See sauce details below! Heat the olive oil over medium heat in a large saucepan. Add onion and garlic and sauté until light golden brown (8-10 minutes). Add thyme and carrot and cook until carrot is soft (~5 minutes). Add canned tomatoes and juice and bring to a boil. Stir the mixture often as it's coming to a boil. Lower the heat and simmer until the sauce thickens (20-30 minutes). Pour over Zoodles and sprinkle with Parmesan cheese.